ZAMBIA and Angola, both rated among the fastest growing economies in Africa, should work closely to enhance their bilateral ties, Minister of Foreign Affairs Harry Kalaba has said. Mr Kalaba said as a result of this development, the two countries should consolidate their ties. Mr Kalaba was speaking in the Angolan capital Luanda on Tuesday during his official visit where he also met his counterpart, George Chikoti. “My visit to Angola is, therefore, intended to accelerate trade and investment between Zambia and Angola for the mutual benefit of the two countries and people,” he said. The minister said Zambia attaches great importance to her relations with Angola and would like to see these relations move to greater heights. “Angola has been seen as a beacon of peace since the end of the war and this has also been demonstrated by Angola’s unprecedented levels of infrastructure development and having the second biggest gross domestic product (GDP) in the Southern African Development Community (SADC) region,” he said. Mr Kalaba also commended Angola as Chair of the International Conference on the Great Lakes Region for the able leadership and positive strides recorded in the recent past. The minister also told Mr Chikoti that Zambia would like to see TAAG Airways from Angola increase its flights into Lusaka and promote trade and movement between the two countries. And in his welcoming remarks, Mr Chikoti said Zambia and Angola have had long-standing relations and his presence in Angola is a sign of the excellent relations that exist between the two countries. He said Zambia and Angola will work closely to promote development, peace, stability and security. Mr Chikoti said signing of bilateral agreements between the two countries is desirable as it will culminate into technical cooperation and promote development efforts. Mr Kalaba also held discussions with Angolan Minister of Transport Augusto Da Silva Tomaz where issues of cooperation in infrastructure development such as road network, the Benguela Railway Line, Lobito Corridor and Shangombo-Rivugu Canal were top on the agenda. The two ministers agreed that the above projects need to be completed without any hindrance as they will immensely benefit the two countries. They agreed that the Joint Permanent Commission of Cooperation should be held at frequent intervals to allow for easy follow-up and implementation of decisions made. 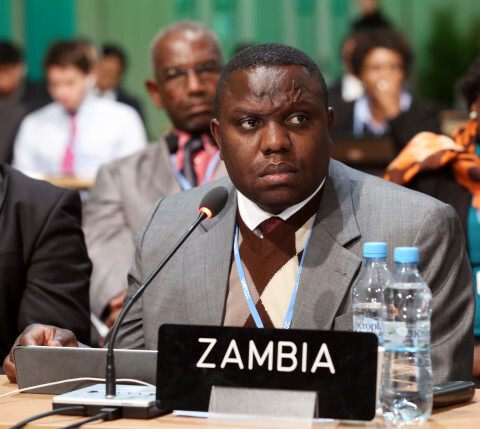 Mr Kalaba is on a two-day official visit to Angola. He is accompanied by Zambia’s Ambassador to Angola, Barbara Chilangwa, Ministry of Foreign Affairs director for Development Cooperation and International Organisations Walubita Imakando, and other government officials.